Many have heard of its very famous neighbor, Mt. Rushmore, the iconic sculpture of Presidents Washington, Jefferson, Lincoln, and (Theodore) Roosevelt that was built in the Black Hills of South Dakota in the first half of the 20th Century. 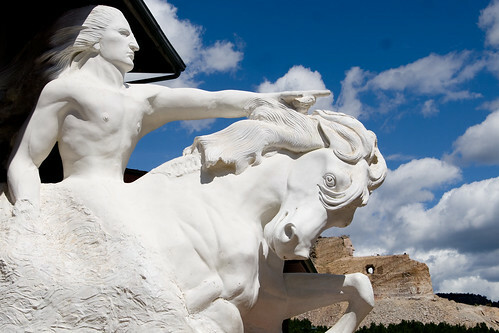 But how much do you know about the Crazy Horse Memorial, in many ways a “sister” site to Rushmore, which lies only about 20 miles away? You may know about the prison island of Alcatraz and its infamous former inmates, who include Al Capone, George “Machine Gun” Kelley, Richard “The Birdman” Stroud, and James “Whitey” Bulger. But how much do you really know? If you’ve never been to this isolated fortress in the middle of San Francisco Bay, we found a few things that might surprise you. Read on!